An Olympian Happy Birthday Message! HAPPY BIRTHDAY! 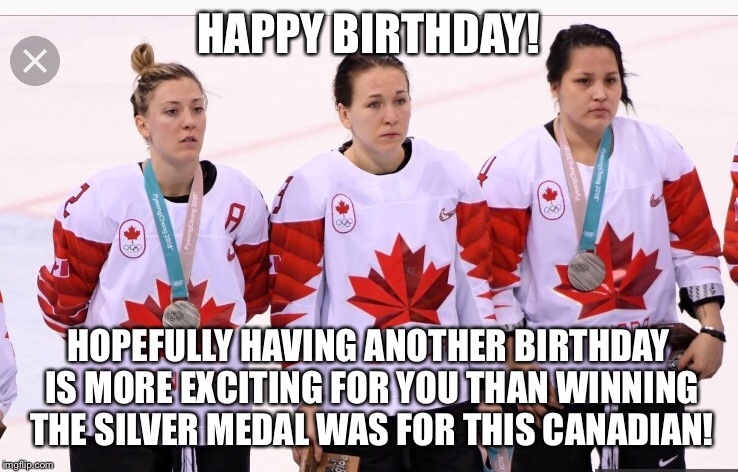 HOPEFULLY HAVING ANOTHER BIRTHDAY IS MORE EXCITING FOR YOU THAN WINNING THE SILVER MEDAL WAS FOR THIS CANADIAN!